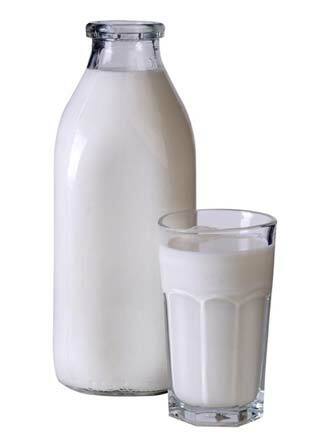 Milk is an amazing topical skin care ingredient found in many lotions, bath mixes, and cleansing milks. An ancient beauty secret that spans back to Egypt and Greece, Cleopatra was known for bathing in the stuff, and ancient Greeks used yogurt (a milk by-product) like Americans use Vaseline—on just about everything! Milk contains high levels of vitamins A, D, E, which is why dairy products are fantastic anti-inflammatories and great for soothing burns. Milk also contains lactic acid, which is a natural skin exfoliant. Since the extraordinary liquid is already sitting in your fridge for your morning breakfast, give these time-honored milk beauty recipes a try! Nothing says romance like the sensual scent of chocolate, and this saccharine milk bath will leave your skin feeling touchable and soft for any encounter! Fill up your bathtub with hot water until it’s 75% full. In a separate large bowl, mix all of your ingredients together. Then, pour the liquid mixture into your bathtub and enjoy your soak for at least 20 minutes! Mix all your ingredients together in a bowl until they form a thick paste. Apply the mixture onto clean skin and massage for a few minutes with your fingers. Rinse the scrub with lukewarm water and a washcloth and pat dry. Boil a cup of tea and leave the chamomile bag in the cup to steep and cool. Peel, seed, and mash your cucumber, then strain out the pulp with a fork to retain the juice. Stir the honey into the cucumber juice, and add the milk. Apply this mixture onto your skin with a cotton pad or washcloth, and use your cooled chamomile tea or water to gently wipe off the milk.